Do you Want to Win a Tesla? This post sponsored by the Messner Foundation. Just guessing that everyone here wants to win a Tesla? It’s totally possible with the Messner Foundation*! The Foundation is currently hosting a raffle open to US residents over 18 years old. 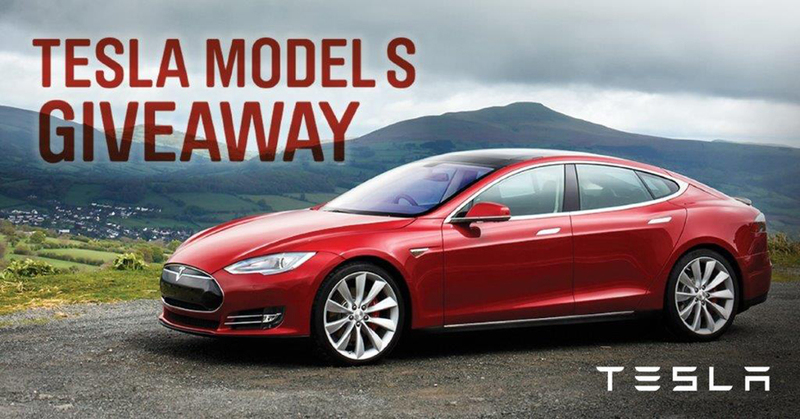 The Foundation is hosting a LIVE RAFFLE to win a 2015 Tesla 70 kWh Dual Motor Model S® automobile valued at $85,500.00. The tickets cost $200 and there are only 5,000 tickets for sale with a purchase deadline of June 13, 2015. If you’ve not heard, Tesla makes a range of beautiful and super efficient electric vehicles. This cool company is in the news everyday for their awesome cars, brilliant innovations in battery storage, and their outspoken founder Elon Musk. But the high price makes it likely that a Tesla car falls into the category of a dream car and not an everyday vehicle. But you can win this dream car in the Tesla Model S raffle, with the proceeds earmarked for supporting programs for at-risk high school students to help them become the next generation of leaders and entrepreneurs. Not only is this a chance to get one of the best cars on the market to pull into your driveway, but you can feel good knowing that your raffle tickets helps the good work of the foundation. The Messner Foundation has worked to improve the lives of underprivileged high school students by supporting them with education, mentoring, internships and jobs. After Messner Scholars graduate from college, the Messner Foundation provides networks and connections to support Scholars’ goals and ambitions to help create the next generation of sustainable business leaders in the Denver business community and beyond. Not only is the Tesla raffle is a good way to show your support to underprivileged students, it is of best chances you’ll have to land your dream car!